Looks like a fun place you've got here! Oh my what a handsome pair. We have at least one other Dakota on here too. Rd's Border Collie. Welcome! and post more pics! Well, you have had one, THIS one! LOL. 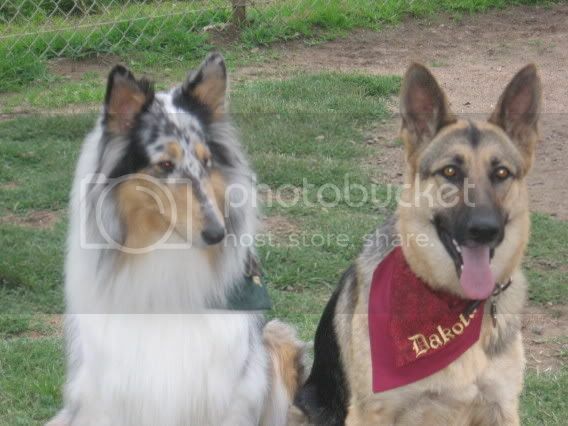 If you do a search of the member's lest you'll find an older account called "roughcollies". That's my signifigant other, before she became my signifigant other. I knew there was an abundance of <insert other forum name here> members! Welcome to Chaz! Your dogs are so beautiful! I was looking for the Keesondexpress forum. Does anyone know what happened to it. Hi...welcome to Chaz!! Your kids are beautiful!!! !